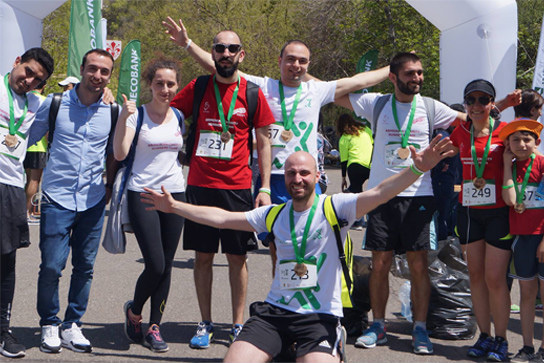 Arm Marathon Foundation organizes a number of running events in Armenia throughout the year. Vanadzor run is the first long-distance running event organized in Vanadzor town. Promote long-distance running in the Vanadzor and other regions of Armenia. Promote healthy lifestyle and running. Promote sports tourism in Armenia. 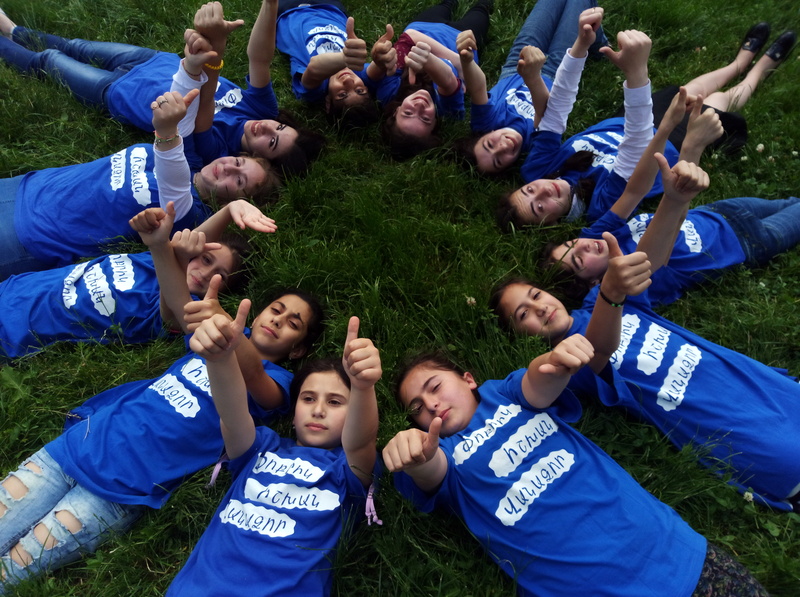 Vanadzor Charity Run is the first long distance running event in the town of Vanadzor. The race starts in the central square of Vanadzor – Hayk square, route of the run goes through central streets of Vanadzor. General sponsor of the run is Coca-Cola HBC Armenia with Bonaqua water. Information sponsor of the run is Fortuna TV. The race is sponsored by Sokhakyan printing. The race is organized by Arm Marathon Foundation, Armenian Caritas benevolent NGO, and TriClub multisport club. The run is supported by Vanadzor town administration. 5km run is open for runners with all abilities who are 13 years or older. 1km run is open for children 12 years or younger. 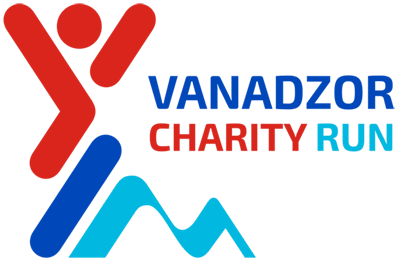 Vanadzor Charity Run is a long-distance charity running race, organized in Vanadzor, Armenia on July 1, 2018. All proceeds from runners’ registration fees are directed to help the charity cause. For age limitation and age group award purposes participant’s age is determined as of December 31, 2018. All proceeds from runners’ registrations fees are directed to help the charity cause. Participants travelling from Yerevan can joined shuttle transportation to Vanadzor for an additional fee of 3000 drams. Entry fees are non-refundable. For inquiries please email info@armeniamarathon.org. All proceeds from runners’ registrations fees are directed to help the charity cause. Race packs can be collected at July 1, 2018, 9:30 – 11:00, Hayk Square, Vanadzor. Participants must present a valid ID to receive their racing packs. Start Date: July 1, 2018. Start Location: Hayk square, Vanadzor, Armenia. Finish and Start location are the same. Official Route of the races go along the central streets of Vanadzor. Water station is located at the finish line. Medical Aid is available at the Start/Finish area. 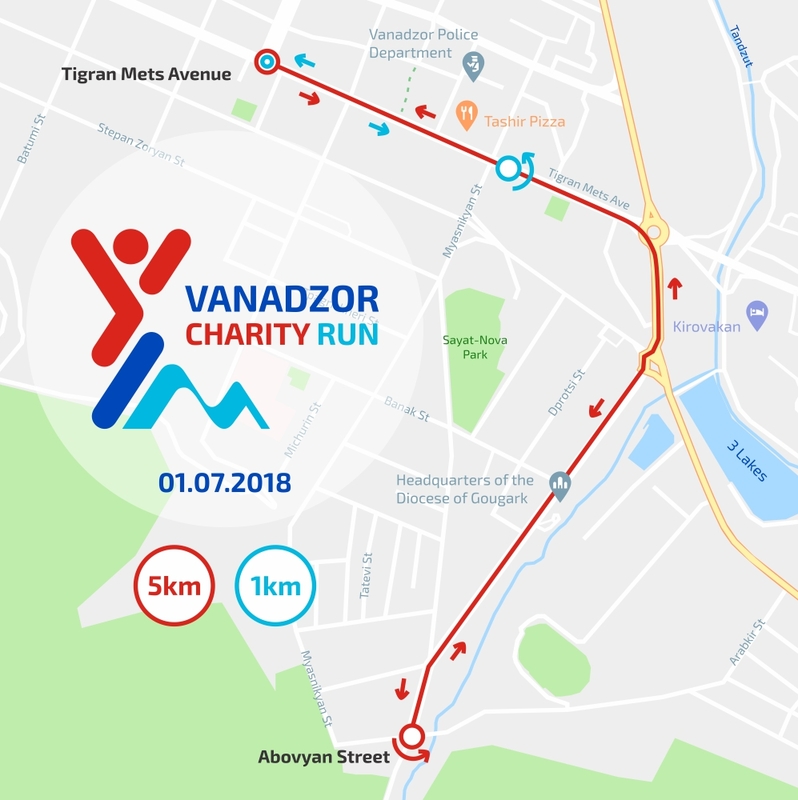 Click here for full Participation Rules of Vanadzor Charity Run. 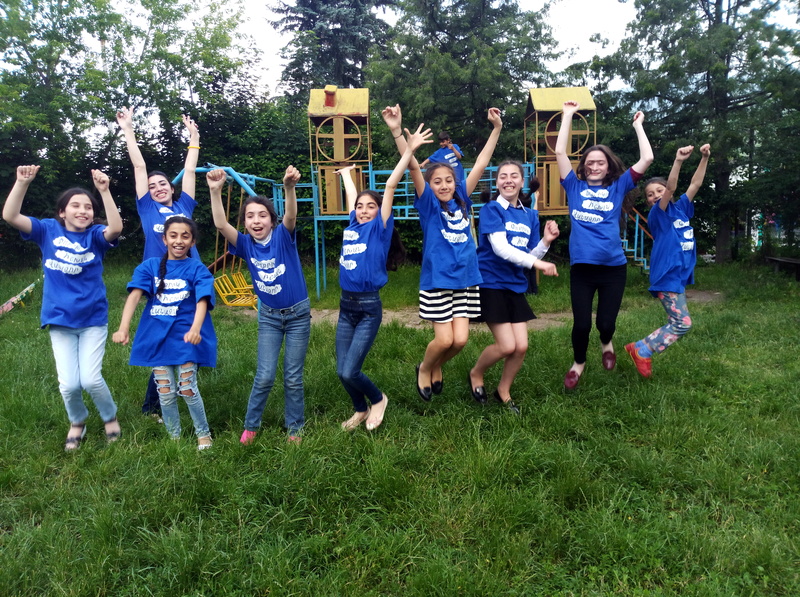 Vanadzor Charity Run supports the financial needs of the “Little Prince” childcare centers in Vanadzor and Gavar. The purpose of the centers is to provide social and psychological services to children of financially disadvantaged families. The centers employ specialists who work with children to meet their educational needs and develop life skills. The Arm Marathon team thanks you for your decision to volunteer at the upcoming race. Let’s make this event a real celebration for athletes, residents, and visitors of Vanadzor! Every large and small sports event needs volunteers to make it happen, volunteers’ contribution is priceless. Our race is no exception, we count on many volunteers to help Vineyard Trail to happen. Each volunteer will receive a volunteer certificate! Vanadzor Charity Run is organized by Arm Marathon Foundation, Armenian Caritas benevolent NGO, TriClub multisport club with support of Coca-Cola HBC Armenia and Vanadzor town administration. Our organizational team consists of professional sport event organizers, who are also enthusiasts of cyclical sports and especially running. We love running – this is probably the most important thing about us and we want our country to love it as much as we do. we strive to bring the most professionalism to our events with precise routs, timing equipment and fair sportsmanship available to all participants. we want to help those in need, all our events have charity component in them.